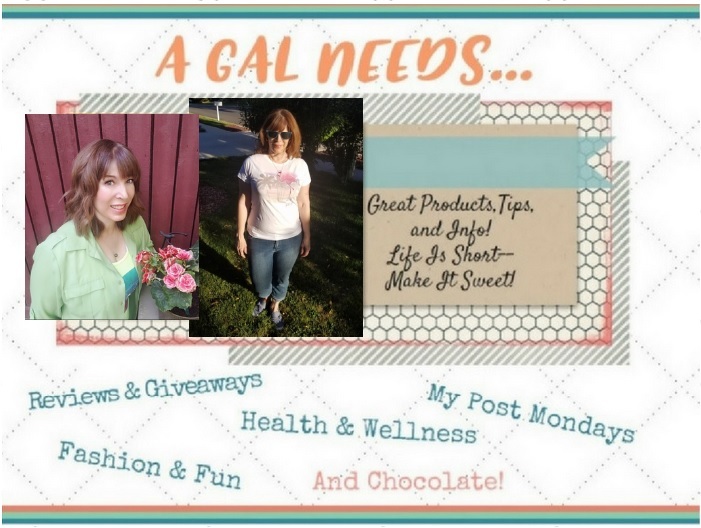 A GAL NEEDS...: Tame This Frizz--Tropical Traditions Hair Treatment Giveaway! Tame This Frizz--Tropical Traditions Hair Treatment Giveaway! Congratulations to #119, Matt4Melis! You will be contacted with e-mail and if you respond in 48 hours, will receive your gift in the mail from Tropical Traditions! Everyone needs and wants great hair. Nutrition has a lot to do with it, as well as hormones, humidity, age and styling choices! Tropical Traditions has taken advantage of its Pure Virgin Coconut Oil and studies such as the one done in India on 3 types of common natural oils used on hair--sunflower, mineral and coconut. Coconut Oil was the only oil found to reduce protein loss remarkably for both undamaged and damaged hair when used as a pre-wash and post-wash grooming product! What does that mean for you and me? It means that using it will make our hair better! This is the part where I should add a picture of a gorgeous model swishing her perfect hair around her face in slow motion. Oops, sorry, couldn't find anything for ya! But I've got something even better! 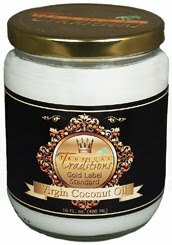 Tropical Traditions wants to offer one of you a jar of their pure Gold Label Virgin Coconut Oil for Hair Treatment! (Wow! That's a long name! Oh well, as long as the stuff works, right? Trust me, it does!) But first, let me tell you that everything you order at Tropical Traditions by midnight tonight is Free Shipping! Also, you can buy 1 get 1 free of their Certified Organic Expeller-Pressed Coconut Oil! That's just one of the great deals going on right now! Check them out! For first time purchasers, please use the referral code 5954910. You will receive a complimentary copy of the book :Virgin Coconut Oil: How It Has Changed People's Lives And How It Can Change Yours' with your purchase. This book includes over 85 recipies using coconut oil and research showing the health benefits of coconut oil! Now back to the giveaway! Please complete the mandatory entry before you do any of the other entries! This giveaway is open to US Residents, Canadian Residents, bloggers and non-bloggers. You must be able to have product mailed to a mailing address other than a P.O. Box and must have a valid e-mail address that I do not have to look high and low for. Good luck! Follow Tropical Traditions on Twitter and tweet this--- "Fight Frizz! #Win @TropTraditions Virgin Coconut Oil Hair Treatment! http://tiny.cc/rk1no #Giveaway Ends 8/12 " (Can be done 1x daily for 1 entry each) Leave your tweet status! This giveaway will close on 8/12/10 at 11:59 pm MST! Thanks for participating and thanks to Tropical Traditions for the chance to review and host this giveaway! The opinions in this blog are mine and are honest and candid. I was provided a product to sample and review! Winners are chosen with Random.org! The winner will be announced at the end of the giveaway here on this post! Check back to see who won! I read your review & left a comment! I follow you on Twitter (winitmamawins)! I became a fan of Tropical Traditions on facebook. My friend name is Hannah A.
I read and commented on your review! #1 Wow - i didn't know that coconut oil could reduce the protein loss in hair. I give my dog an oil to help with having a healthy coat - now I want coconut oil to help my hair! #2 Wow - i didn't know that coconut oil could reduce the protein loss in hair. I give my dog an oil to help with having a healthy coat - now I want coconut oil to help my hair! #3 Wow - i didn't know that coconut oil could reduce the protein loss in hair. I give my dog an oil to help with having a healthy coat - now I want coconut oil to help my hair! #1 - I read the Tropical Traditions Review and commented about the review. I'm the #5 comment. #2 - I read the Tropical Traditions Review and commented about the review. I'm the #5 comment. #3 - I read the Tropical Traditions Review and commented about the review. I'm the #5 comment.